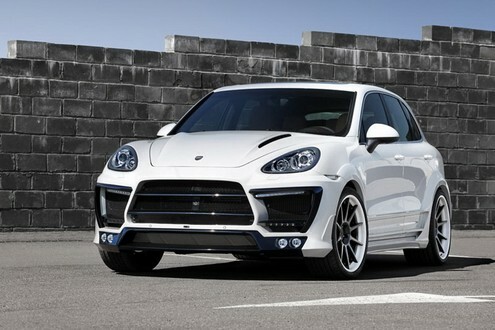 You are probably with this package because Lumma Design has already done a similar job for the new Porsche Cayenne. Of course this one is significantly upgraded. The CLR558 GT is the most aggressive kit we’ve seen for the Cayenne with its massive air intakes and black surrounds, vented bonnet, a bewildering array of lights at front, massively flared arches, side sills, rear diffuser and tailgate wing. A very cool touch in its design is the arrangement of the exhausts tailpipes, which is a central triple-pipe system. The car is also fitted with 22-inch black rims with white lip, wrapped in 295/30 tires and 40mm lowered suspension. Choices for interior upgrade literally know no boundaries and depends on the taste and wealth of the customer.